Mary Zachow, a resident of Willow Valley Manor passed away February 13, 2018 after a brief illness. Mary, daughter of Frank and Carol Schmidt was born in Jamaica, New York. She grew up in Rockville Centre, Long Island, the oldest of a family of 3 sisters and a brother. After graduating from Oneonta College in 1945 she married Arnold A Zachow and they lived in Western New York and Connecticut before settling in southeastern Pennsylvania where she raised her daughter and 2 sons. 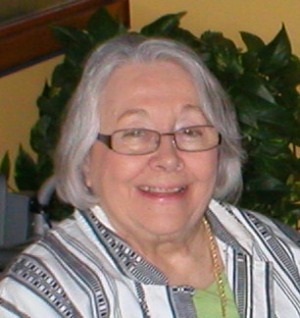 Mary loved children and taught 5 and 6th grade at Ithan Elementary School in Radnor for almost 25 years. She earned her Masters of Arts from Villanova University while teaching full time. She always relished visits by her former students who would return to her classroom and fill her in on their lives as young adults. A firm believer in the value of the public school education system, Mary served as President of the Radnor Teachers Association leading teacher contract renewals where she gained a reputation as a tough negotiator. She was a member of the Alpha Delta Kappa Society for over 50 years. Mary loved to travel and after retiring she and Arnold journeyed to the near & far corners of the world. They eagerly planned their trips and the shared experience of different cultures and vistas. She is survived by her brother Frank and sister Adrienne; her two sons; Robert G and his wife Sharon, David A and his wife Annie Rose, 6 Grandchildren and 10 great grandchildren. She was predeceased by her husband Arnold and her daughter Sherida Ann whom she missed terribly. A few days before her death she said she looked forward to seeing her daughter once again after so many years of separation. A funeral mass will be held on March 24; 11AM at St Thomas of Villanova, Rosemont Chapel, 1229 E. Lancaster Ave. Rosemont. Interment will be in the family grave located at Calvary Cemetery where Mary will rest beside her parents and husband. In lieu of flowers, donations in her memory may be made to Brunner Nursing Education Fund 600 Willow Valley Square Lancaster PA 17602. My condolences to Mary’s family. May she Rest In Peace. I will always cherish the memories of working with her at Ithan and her friendship, support and encouragement of the arts both in and out of the classroom .